Location: Along Sligo Creek from New Hampshire Avenue (MD 650) north to Wheaton Regional Park. 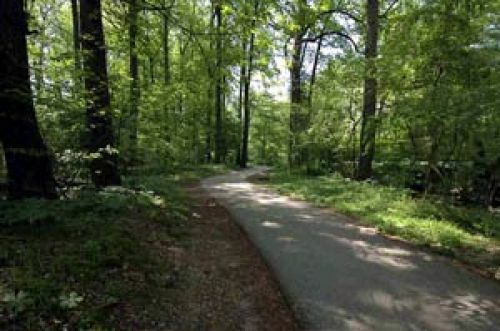 The Sligo Creek Trail is a 10.2-mile hard surface trail and is one of the oldest in the County. 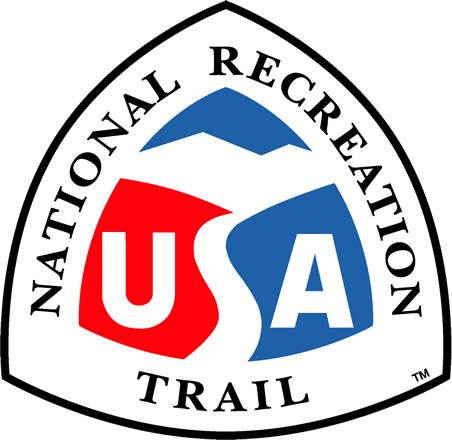 The trail is the heaviest-used facility in the stream valley park and provides recreation for persons of all ages and abilities. Several paved, and a few unpaved, trails are scattered throughout the park and connect other park facilities, schools and neighborhoods to the main trail. The trail starts at the Prince George's County border and continues through Montgomery County through several neighborhoods and parks and ends at Wheaton Regional Park where visitors may enjoy a variety of recreational and educational opportunities. Take a ride on a train, go horseback riding, go fishing, ice skate, tour botanical gardens, attend a nature program and discover the park's beauty. Many of our facilities accommodate people with disabilities. One of the many unique features of this trail is that the Sligo Creek Park also has nine parks associated with the watershed and along the trail. These parks contain playgrounds, tennis and basketball courts, picnic areas softball/baseball fields and a recreational building. The trail is located in Montgomery County, which has a population of approximately 900,000. The trail is located in the down county area. Not only does the trail serve a large number of residents, but it serves a very diverse population to include Asians, Latinos, and many other nationalities. The width of the park represents the flood plain of Sligo Creek. In the early ages of development most companies would not build on flood plains or steep slopes because it was not optimal land for buildings. Where there are large high rise buildings along the park there tend to be what are called military ridges, which are steep banks covered with trees. These allow for the park goers to enjoy the natural beauty of undeveloped nature while also allowing the apartments to have a view of the park. There are plans underway to link the trail to the busy Silver Spring business district which will be known as the Silver Spring Green Trail. This would provide an alternative to bus/car commuters and with the proximity of the trail to so many neighborhoods, other trails and to downtown Washington D.C., this will continue to be a very popular trail with great scenery. Rob Bushnell, former chief of the Maryland Scenic and Wild Rivers Program, said the B-H-designed Sligo Creek Hiking/Biking Trail "is very, very environmentally sensitive." The project was strongly supported by the Washington Area Bicyclist Association, Anacostia Headwaters Greenway and the Coalition for the Metropolitan Branch Trail. The bikeway benefits the area in a number of ways: it encourages bicycle commuting to improve air quality, it provides local children with a safe alternative to cycling on the road that winds through Sligo Creek valley, and it leads to greater public appreciation of Sligo Creek and the area's environmental assets.